Words of true wisdom and quintessential truth resound in our minds and hearts long after they’ve been said. So many of the quotes I’ve read in the last day, credited to Reverend Martin Luther King Jr., echo in my soul. They reverberate with depth and meaning. They hold within their joined syllables and perfectly selected order so much hope for a future of all-encompassing love. His message, his fight, and the memory of what he helped change—what still needs changing, is especially poignant to me now that I am a mother to a biracial son. 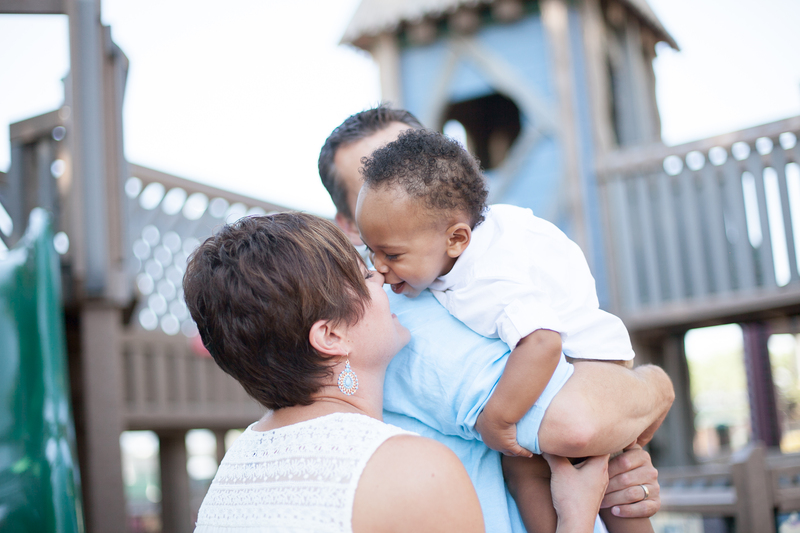 I am fortunate to live in a community where, while diversity is the tiniest of slivers on the pie chart of local statistics, it is also a place where I’ve experienced exceptional love and acceptance since adopting our youngest child. With this said, I would be naïve to think that I—or anyone else, can control how my son will feel about being a predominantly African American male in an all Caucasian family, living in a state who’s demographic makeup looks nothing like his own. I fear he will face adversity that exceeds what his siblings may encounter simply because of his race…race and gender if I’m being honest. This is not to say he wouldn’t have faced the exact same racially motivated adversity living with his biological parents. He was, after all, adopted from within the United States. His reality, in either situation, would be that of a predominantly African American male living in the U.S. The difference? He is my son. The profound difference? My situation makes me see every son as someone’s son—every son as my son. And in that scenario, the dreams of MLK look a whole hell of a lot like my own. It would be easy to fret or focus on what might be or will likely be some of his challenges. But I don’t think that is the right thing to do. It doesn’t change anything. “I refuse to accept the view that mankind is so tragically bound to the starless midnight of racism and war that the bright daybreak of peace and brotherhood can never become a reality…I believe that unarmed truth and unconditional love will have the final word.” – Martin Luther King Jr.
What a powerful image; what powerful potential those two things hold. Both are within our grasp. Both are available to us all. And both will be what I give to my son.